09/28/07: I got a bit tired so this one comes to you a little late ^^; But I like how it came out! I love that brush! 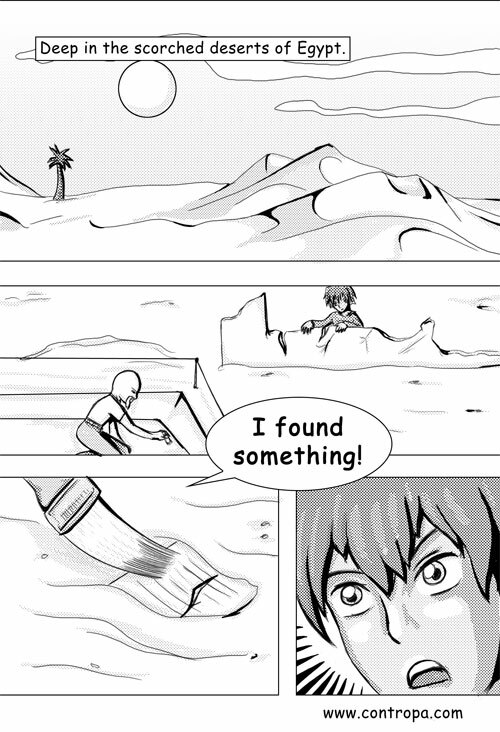 And the desert scene is kinda cool ^^ I'm tryin' to work on my landscapes. And lo and behold! Not completely horrible shock line thingeys! Hopefully hoping around will make things more interesting...bah, way too much talking in this comic!